Ask the world’s wine experts to name Italy’s greatest red wine, and chances are a sizable majority would cite Barolo. In the hills of Piedmont in the northwest of the country lie the world’s most famous vineyards growing the Nebbiolo grape. Along with neighbouring Barbaresco, these are “two of the wine world’s pinnacles,” according to Jancis Robinson. Without doubt Barolo is an Italian appellation that stands alongside the very best. 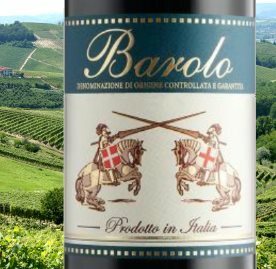 Quite what the region’s top producers like Bruno Giacosa or Elio Altare would make of it if they wandered into a UK branch of LIDL this weekend I do not know, because for two days, the 29th and 30th of April 2017, Lidl is selling bottles of its Barolo for just £4.99. At its regular £9.99 price it is already astonishingly cheap for such an exalted appellation, but a price of under a fiver seems almost inconceivable. Barolo was one of the first Italian wine regions to be granted DOCG status. Denominazione di Origine Controllata e Garantita is Italy’s highest level of wine classification, the wines not only coming from strictly demarcated zones (Origine) but passing an assessment tasting by a panel of experts to guarantee their authenticity (Garantita). And yet Barolo comes in many different styles and indeed qualities. Partly this is down to winemaking with big differences between ‘traditional’ wines given a long maceration before ageing in big, old wooden casks, and ‘modern’ wines macerated for less time and matured in small barrels, often of new oak. But Barolo is also a region of great terroir complexity, the variations in soil, topography and aspect giving similar problems or opportunities (depending on your viewpoint) as in Burgundy, where knowing very specific producer and vineyard combinations is key. I presume at £4.99 Lidl’s Barolo is a ‘loss leader’ – a product where profit is not as important as attracting new customers. So, what do we know about this £5 Barolo? It comes from the very good 2013 vintage (the 2012 might also be on the shelves, but it is regarded as a less reliable year and I have not tasted it) and was bottled in the commune of Cossano Belbo – presumably a local négociant or bottler. It has 14% alcohol by volume. Given the level of UK tax and duty, the most I’d ever expect of a £4.99 wine is that it’s inoffensive and palatable. So can this wine exceed those lowly expectations, let alone deliver the experience promised by its famous name? Is it a bargain? Well, it’s so hard to judge a wine when it’s context is so unusual, but all I can say is that if I’d tasted it at its regular price of £9.99, I’m confident I would have rated it an honest 87, maybe even 88-points. Therefore, it has to be one of the best £4.99 wines in the country – for two days at least. For many the bigger and more important question will be, “But is it Barolo?” And that’s a lot harder to answer: it doesn’t have the ‘tar and roses’ fragrance of great Barolo wines, but then plenty of examples at many times its price don’t achieve that either. It is a well-made, quite serious dry red for the money, and no matter what it says on the label, to deny that would be churlish. (2017) The wine pours a healthy colour: the semi-transparency of the variety and just a little tinge of brick suggesting it has spent considerable time in cask. The aromas are firm and spicy with savoury berry fruit, a touch of green/earthy character, but really quite inviting. 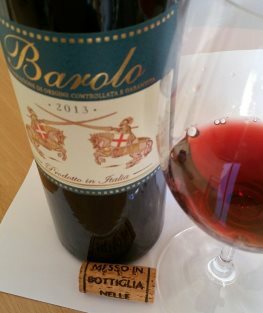 The palate has that firmness and tight character too: some cheaper Barolo wines are fading after too long in wood, but not this: the tannins are grippy and quite sandy, the acidity is tight and the fruit, whilst not massively rich, does have a bit of juiciness giving the whole wine a savoury, umami appeal. LIDL will be pouring their wines at my Glasgow and Edinburgh Festivals of Wine. Arlene, I don’t know the answer to that. Note that this article is almost two years old, so the wine is now a different vintage to the one I reviewed. The price is also showing as £11.99 on the Lidl UK web site. Bought 3 cases in Lidl Dublin in October 2017 when it was half price thinking it would b perfect for Christmas drinking. An absolute disaster – brownish awful tasting wine – still have it as no recourse from Lidl as receipt was out of date. A friend of mine had the same experience. Mary, that doesn’t sound like the wine I tasted, and it sounds like the wine might have been badly stored – the brown colour usually indicating oxidation or maderisation (stored in too hot a place). It certainly should not have been brown. If you are offering to return all the full bottles, then I think Lidl should certainly refund you in full for those. Good luck with that. I bought 2 bottles of the Lidl 2014 Barolo in December for Christmas, it was sharp, thin & a strange orange/brown/red shade. It wasn’t nice, I bought to share with family & was embarrassed . So apparently the Lidl Barolo is on offer at £7.99, on 9/10 December 2017. I wouldn’t be scrambling to buy at that price, but from previous experience I think it compares *quite* well to the superior Terre de Barolo, given it is half its price. Been on half price offer in Lidl stores in Ireland this weekend past. All stocks seems to have been sold out by Sunday but I managed to buy two bottles on Saturday! just had glass of lidl barolo.tastes as if corked.cork looks ok.last tasted barolo 20yrs ago taste same.like straw. got 1 of the last boxes in the Dumfries store and enjoyed it very much , went back for more and was sold out , could do with some more ? Glad you tracked it down and enjoyed it Kenneth. I think it is a regular stock item for Lidl so should reappear at some point, but not sure if we’ll ever see the £4.99 price again. Thanks for the heads-up, Tom. I went to my closest Lidl at 2.00pm on Saturday to find them sold out but, after a 20 minute drive o the next closest, was able to bag a case. I think it is a real bargain and will be getting some near-raw beef ready for it in the near future! Tried stores in Monmouth, Hereford & Stourbridge over that weekend. No 2013 on shelves but lots of the 2012. Hmmmm. Andy, sorry if this was another wild goose chase. Did you buy a bottle of the 2012 out of curiosity? I’ve had two reports on it, both saying it is not as good as the 2013, but OK for £4.99! Catherine, sorry you had a wild goose chase on this. All I can say is that I’ve had mixed reports – some people found plenty of it in stores, one even bought it on the Saturday, liked it, and went back for more on Sunday. But others turned up at noon on Saturday to be told 100 cases had been sold already that morning and there was none left. Quite a few people up and down the country being told they were too late it seems.